Headed to Alstom in Hornell, NY for PTC installation. That’s where those MUs came from. Anything New Going On Up There? Is NS Still Running Things Or The D&R? Joseph DeLuisi wrote: Anything New Going On Up There? Is NS Still Running Things Or The D&R? Hi Yes they still are serving Royal Distributors on the Totowa Industrial Spur in Totowa. I saw them in the morning both on 4/24/2018 Tuesday and 6/12/2018 Tuesday also. Both times it looked like the 3010 was the power and they brought in loaded covered hoppers and hauled away the empties. Thanks for the update Blocksignal. H02 was eastbound through Mansfield today with SD40-2 3381 and 17 cars. As of yesterday (7/7/18) NS 5637 is currently assigned to the H02 while 3010 is in Enola. I'll be happy to see a shortline operator on the former DL&W lines. Maybe they'll drum up some business. Not that I want to see 2 more NS jobs abolished, but they were taking 12 hours to do a RT from allentown to washington. Sometimes they would take 12 hours for a 1 way trip. And sometimes 2 to 3 days to get a car from Allentown to a customer in the dover area. pdtrains wrote: I'll be happy to see a shortline operator on the former DL&W lines. Maybe they'll drum up some business. Not that I want to see 2 more NS jobs abolished, but they were taking 12 hours to do a RT from allentown to washington. Sometimes they would take 12 hours for a 1 way trip. And sometimes 2 to 3 days to get a car from Allentown to a customer in the dover area. You make wonderful points, but i doubt they will be able to drum up new customers, especially with the way this stupid state taxes them out of business and into oblivion. But hopefully with the new interchange near P'burg that the existing customers will get product faster then the current set up with cars sitting in Washington sometimes for more then a day. As far as motive power they will probably lease a few NS units until the whole PTC and cab signal requirements are fulfilled, which probably will take more then a year..
OT, but yea, the state of NJ has certainly helped persuade 90% (or more) of the industry in north jersey to leave. 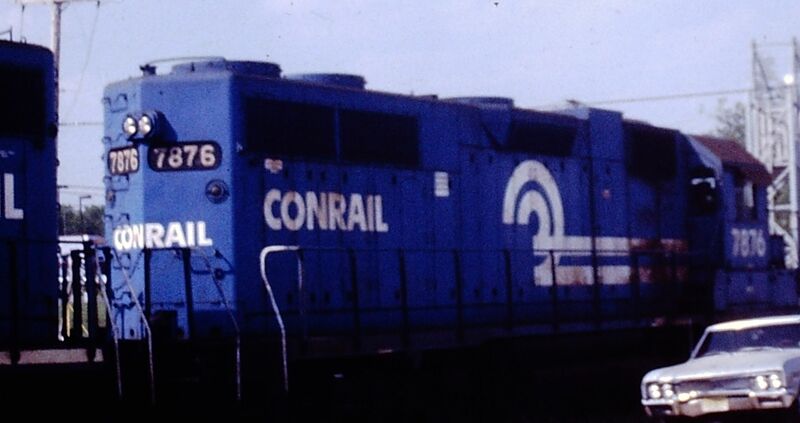 Some would have left anyway, and Conrail was no help at all. They wanted to eliminate as much carload freight as possible. Trying to talk their local customers into trucking freight from a pad at Croxton to their companies, and ripping out team tracks, cause their lawyers considered team tracks a liability. All I can say, is its no better here out on the west coast where I am now. The SP hated carload freight also. They were happy to jus give carload freight biz to the trucks. The business is still here...just all handled by trucks, and lots of rusty, weed covered abandoned sidings. And we did lose a couple big businesses.....the sugar refining biz (I guess its all imported now) and a big firestone tire plant, and a cement plant, which left town due to various reasons, including EPA/nimby/crazy assed environmentalists. Im a social liberal, but the evironmental ppl are way out there by my standards. pdtrains wrote: OT, but yea, the state of NJ has certainly helped persuade 90% (or more) of the industry in north jersey to leave. Some would have left anyway, and Conrail was no help at all. They wanted to eliminate as much carload freight as possible. Trying to talk their local customers into trucking freight from a pad at Croxton to their companies, and ripping out team tracks, cause their lawyers considered team tracks a liability. Absolutely. The big issue (that few like to talk about) is the fact that there are *way* too many pieces of local government in this state. 21 counties is a bit much, but whatever -- the fact we have 565 municipalities is ridiculous. That's one for every 16k people, and each one is levying its own set of taxes to fund governmental structures that are in many cases redundant. The economies of scale that could be realized if even a hundred were cut would be massive, and would vastly reduce tax load w/o cutting services...but I digress from trains. One big question with this new operator is whether or not they'll push harder for bridge elevation/higher weight clearances with NJ. There was a study a couple of years back, but, to my knowledge, nothing has happened since (which, I'm sure, is at least partially attributable to NS's lack of interest in the route). That would really be a plus for shippers. For what its worth, or not worth, The NS moved around 1,500 cars on the Washington Sec this year, this includes the DRRV and M&E interchange. thanks for sharing...1,500 cars/year or less than 5 cars/day...while that's pretty small hopefully a more interested local operator can bring back some business. CR7876 wrote: For what its worth, or not worth, The NS moved around 1,500 cars on the Washington Sec this year, this includes the DRRV and M&E interchange. What would NS bring into NJ via the Washington Sec. vs the Lehigh Line (to Oak Island, for example or elsewhere)? Only traffic for the ex DL&W basically and that short piece of the CNJ in the Kenvil area & the D&R. ?